It was a match between the winless Sri Lanka Lions and the Pakistan Shaheens who could only manage one win from their first three matches. It was a cold cloudy wintry day at the Royal Park - Western Oval in Melbourne, but fortunately there was no heavy rain just a bit of light drizzle. On paper this match looked like it would be a win to the Shaheens, but they were unable to put a halt to the Lions' pressure. According to the ladder it looked like the match would be a close encounter and the match lived up to it for most of the game, with only a goal and half separating both teams at each break except at the final siren. The game was close and even with the Lions getting the upper hand towards the end of the third and maintained it till the end of the game. The Lions kicked three goals in a tight opening term to the Shaheens who were only able to kick one goal. Shaheens threw everything at the Lions who were the stronger team, but the Lions were able to withstand this ferocity. The Shaheens tried everything to lead at quarter time with the same amount of scoring shots as the Lions, but there accuracy in front of goal let them down. As a result, this was what gave the Lions the slight advantage on the scoreboard at quarter time with a lead of 10 points, because they were able to kick accurately. Damien Ratwatke was prominent up forward for the Lions and a headache for the Shaheens players and coaches. The tackling pressure of the Lions was immense during the second term and the Lions were slowly starting to get on top in the contest over the Shaheens. Damien Ratwatke posed a threat up forward for the Shaheens backmen. Janahan Kumaralingam came to the bench with muscle tightness in his hammy halfway through the second quarter. Also the Lions were able to move more smoothly and dispose of the ball more cleanly then the Shaheens. It was in the second quarter that the Lions started to hold up well in their defensive 50. The Lions bench was bemused, because they were on the wrong end of a couple of umpiring decisions in the Shaheens forward half. To the Lions relief the footy Gods as quoted by their coach “the footy Gods were doing them justice” because the Shaheens did not make the most out of the harsh umpiring calls with their ball use ineffective and scrappy. The Shaheens were lucky to be on the right end of the whistle and therefore to be as close as they were at the main break with only 9 points down. In the third term, Janahan Kumaralingam came off early because he continued to have muscle tightness and soreness and the trainer attended to him. 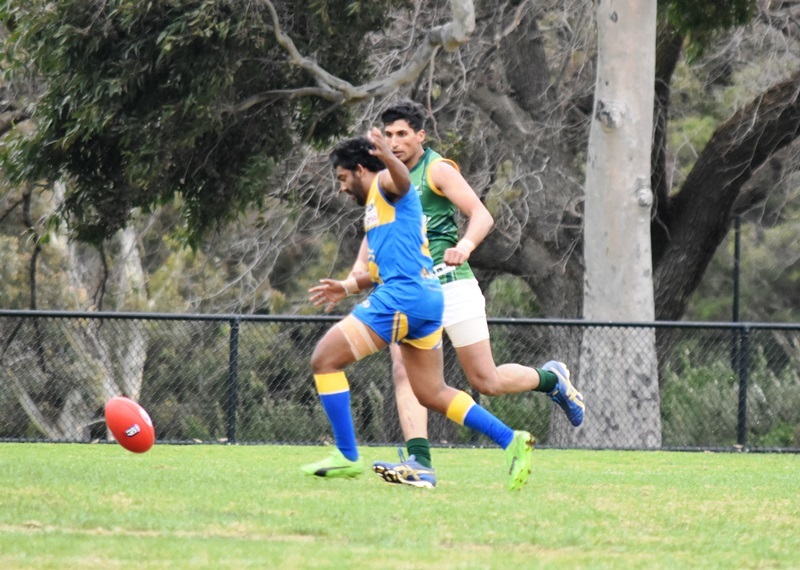 The trainer asked the AFL first aid official for some ice and unfortunately Janahan Kumaralingam was unable to play out the remainder of the match due to his injury. 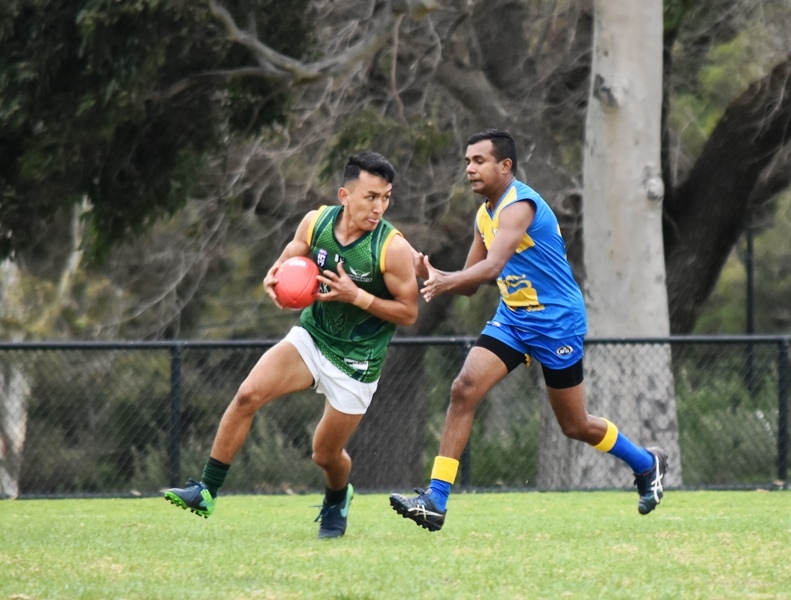 Janahan Kumaralingam was gutted, as he wanted to continue playing for his country and most importantly be on the field for his teams first AFL International Cup win. The Lions held a 14-point lead at three quarter time. In the final quarter, the Lions were on top in all facets of the game from winning the crucial contests in the centre of the ground, holding up well in their backline and having a lot of the game play in their forward half of the ground. The Lions made the most of their limited opportunities in front of goal, because the Shaheens defence held up well with all the inside 50s from the Lions. As a result, the Lions booted three goals in the fourth term and kept the Shaheens scoreless too and this was an achievement in itself. This never say die effort and attitude from the Lions paid off for them at the end of the game, as they were able to notch up their first International win by 21 points. The scenes after the match were amazing to see, because the Lions players put their hands up in the air and cheered. Also the players and coach on the Lions bench showed immense jubilation and relief to finally crack through with their first win in International AFL. The standout player from this match was Damien Ratwatke who booted four goals as the key target for the Lions and a key worry for the Shaheens' backline who were unable to put a stop to his dominance in the forward line. This dominant display from Damien Ratwatke helped secure the Lions win.